Learning how to remodel a kitchen is a rite of passage for many homeowners, considering it’s the most popular remodeling project after bathrooms. Like any renovation, there are essential steps to take when you remodel a kitchen, all of which require careful planning and a big helping of patience. A DIY kitchen remodel doesn’t have to be difficult, however. We’ll cover what parts of a kitchen remodel any homeowner can handle themselves, as well as when to bring in professional help to ensure a successful and efficient kitchen remodel. 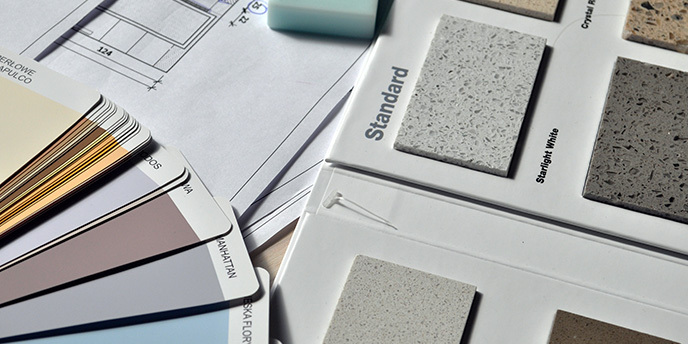 The first step in a kitchen remodel is the easiest – decide what you want. Start your search for inspiration by browsing your favorite Pinterest boards and home improvement sites, and save ideas in a folder or vision board as you research to help develop your own remodeling plans. Viewing a broad range of layouts and designs is helpful to identify the fixtures, textures and materials you want in your new kitchen. You should also consider how your kitchen will be used and whether your new design will fit within the existing floorplan. 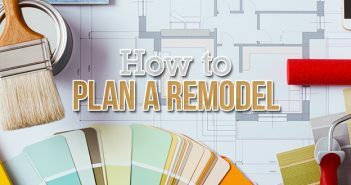 When you have some (realistic) ideas in mind, draw up a general outline of the remodel. Your main focus should be figuring out the layout of the room. A crucial stage in the design process is to determine how far apart your cabinets will be spaced out, where your kitchen island will be situated, where appliances will go and other logistical details. Knowing the precise layout will also give potential contractors an idea of the scope of the work, making it easier to get ballpark estimates for your kitchen remodeling project. Once you have an idea of what your dream kitchen would look like, it’s time to determine how much it will cost. Perform some research to come up with a solid foundation for your kitchen remodel budget. While it’s tough to determine exactly how much a kitchen renovation will cost this early in the process, establishing a budget ceiling now will allow you to start getting in touch with professionals. Our guide to remodeling a kitchen on a budget shares the average costs of each aspect of a DIY kitchen remodel – from floors to cabinets – and tips for saving on each one. 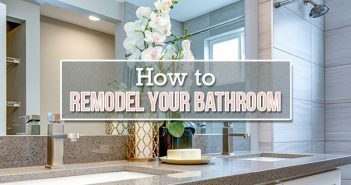 You should also have a general idea of how long your kitchen remodel will take so you can prepare yourself for the big project you’re taking on. While timelines vary depending on a number of factors, such as the size of your kitchen, the scope of work being done and any contractors you may be working with, experts estimate a kitchen remodel can take anywhere from one to three months. There’s a professional out there for just about every facet of a major kitchen remodel, from granite countertops to custom kitchen cabinetry to managing the entire project itself. Your task is to use your friends, colleagues, and good old research to find the best professionals to realize your unique designs. 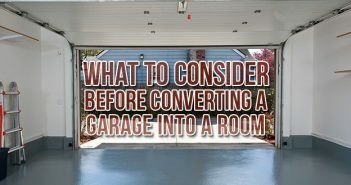 A good place to start is to visit big-box stores and showrooms to get a look at every material available to you, and possibly pick up a few referrals along the way. Assuming you haven’t reached out to a licensed contractor yet, you should do so once the budget, layout and overall design are finalized. A good rule of thumb is to get at least three different estimates that include timetables for completion. Do a walkaround with each prospective contractor to go over every aspect of the kitchen remodel and to get a sense of whether you may need to add or subtract from your budget. “Not anticipating the problems that can happen, and not keeping the contractors on task are the most common mistakes I’ve seen homeowners make during a kitchen remodel. People are often afraid to tell others what they expect because they don’t want to appear rude, but if your contractor is running late for instance, you should call them instead of waiting patiently. However, even if you are aiming for an inexpensive DIY kitchen remodel, you should never take the low-ball bid when hiring help for a renovation. Low estimates indicate a contractor may be desperate for work and/or plans on using low-quality materials. Once you’ve picked a contractor to assist in your kitchen remodel project, draw up a contract that outlines the scope of the work and establishes a payment schedule. A typical payment schedule provides 10 percent upfront, 25 percent at three-stage intervals throughout the project and the last 15 percent upon project completion. Jot down a checklist of requirements for hiring a contractor and ask all the questions you have before signing an agreement. 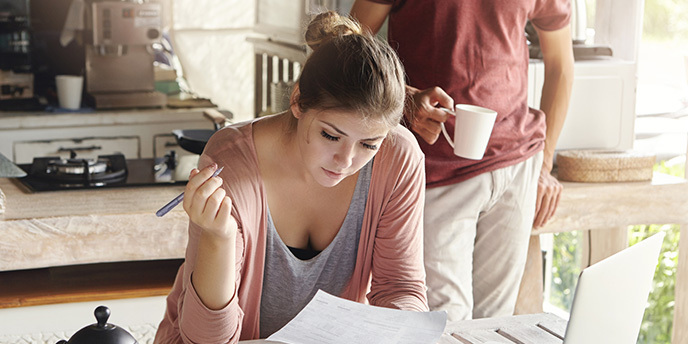 To quote Fixer Upper’s Chip and Joanna Gaines, “It’s demo day.” Are you prepared? Set up a temporary kitchen in another room of the house. Make sure you have space for preparing small meals. Bring only the essential appliances you need for cooking (read: no waffle irons). Use a mini-fridge to store perishables. Stock your pantry with paper plates, plastic silverware and cups. Keep non-perishables such as peanut butter, crackers and snack bars handy. For more tips and some moral support as you undertake a kitchen remodeling project, check out “How to Survive a Kitchen Remodel“. Beyond preparing a temporary kitchen arrangement, you should also make plans for cleanup before the kitchen remodel begins. Whether you’re tearing out cabinets, gutting the whole kitchen or something in between, we have a disposal solution for your DIY kitchen remodel. Learn more about our residential dumpster rentals and find the right size for your cleanup needs. Paint and install new flooring. Place appliances and fasten cabinet hardware. Once the dust has settled, you can check out your newly remodeled kitchen, check off the project items that are complete and wrap up the others that still need attention. If you worked with a contractor, everything that was agreed to in the contract should be fulfilled before they receive final payment. After your punch list is complete, you can finally dismantle your makeshift kitchen and resume a normal cooking routine in your brand-new kitchen. If you have any debris or junk left over from your renovation, you can take heavy-duty cleanups into your own hands with our renovation dumpster rentals. Learn more about how we can help lighten your load, no matter what home improvement or cleanout stage you’re in. This DIY kitchen remodel ideas, really help home owners to remodel a kitchen, himself. Thanks LIZ KANE.